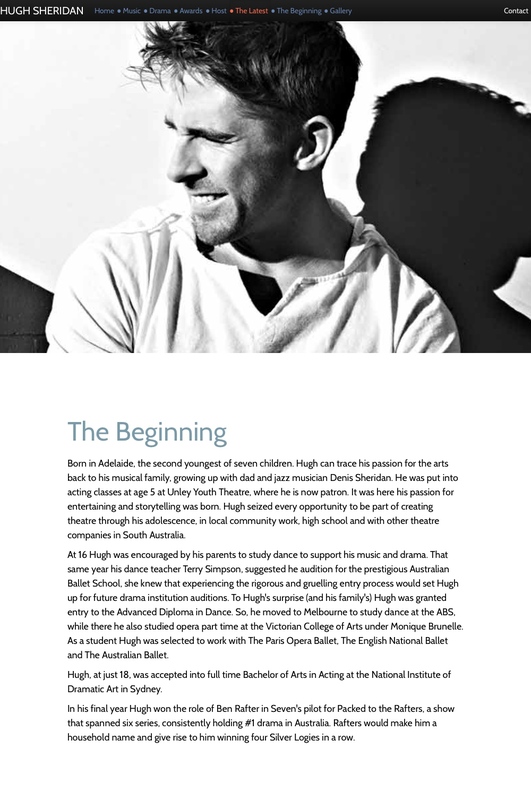 Hugh Sheridan required a website to showcase his achievements and abilities during his active career. The site needed to be responsive, so that it would look good on all screen sizes from phones to full size computers. On top of that, the site had to be dynamic, implementing motion to create interest. NDStudios got to work creating a site based around an interesting parallax effect. The text sections describing Hugh's talents and careers slide over the slow moving images of his work. We worked hard to ensure that this effect made an impact from the largest computer screen to the smallest phone and everything in between.